I served as Associate Editor at CRAFT by Under My Host, a quarterly food and beverage web magazine created and published by the incomparable Cori Paige—a whirlwind of productivity and role model for me. By the time I finished my tenure at the magazine in 2016, I had written enterprise stories, edited more than 1,050 pages for publication in the AP style, created a style guide, managed writers and submissions, pitched projects, and crafted headlines for the web, among others. Read the most recent issue at CRAFTbyUnderMyHost.com. 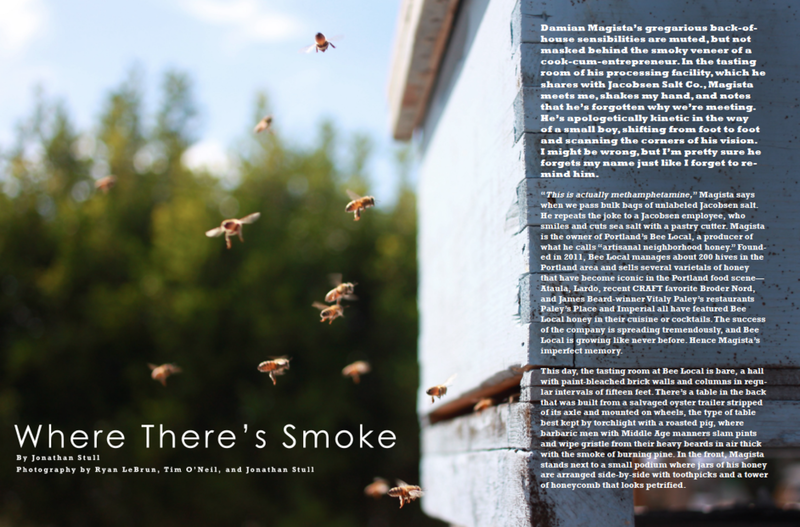 For the anniversary issue of CRAFT by Under My Host, I wrote a feature about terroir honey, urban beekeeping, and the intersection of declining bee populations with Damian Magista of Bee Local Honey in Portland and other beekeepers across the country. Read on page 76 via Joomag. The tea industry is a fast-developing market in the United States, and I wrote about the all-important social aspects of sourcing it responsibly. Tea importation can be a shady business in the US, so I reached out to responsible importers to talk about the challenge of getting good tea in the right way. Read it on page 94 via Joomag.